Egypt had better watch it or it will be the next Palestine. Egyptians Beware. Seems like the neighborhood take over gang, is attempting to take over. They get the land, then try to take over the country. 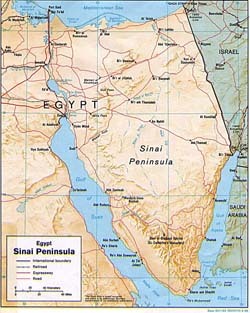 Egypt had better take care not to let their land be sold to outsiders. This sound all to familiar. Way back before 1948 this is exactly what they did in Palestine. They bought as much land as they could. Imported as many Jewish people as possible. And look at all the problems there are today. Would they do this to surrounding countries ? Yes of course they would. They are through fraudulent means as well….. There goes the Pyramids. Kiss them goodbye. Israel if it could, would destroy them as they are a 1000 year old cemetery. But they would plant pretty trees over the sites, as noted in a the above link. They do that so well. They cannot be trusted to preserve historical site even thought they promise to. The will destroy them. They have proved that beyond a shadow of a doubt.